WordPress has changed the way that websites are crafted, but more importantly – how Podcasters across the world plan, implement, and launch their podcast episodes, series and more. The Podcaster Matrix is proud to be utilizing Blubrry’s PowerPress plug-in to add to the Podcast Media landscape. Are you ready to utilize WordPress and PowerPress to put your entire podcast library in play? No matter your experience or skill set level, we’re eager to get your episodes in place, a bit of education delivered and your audience a’growing. The WorldPerfect package provides you a great insider’s look as to how PowerPress as a tool can help you and your entire podcast episode library to larger and growing audiences over time. 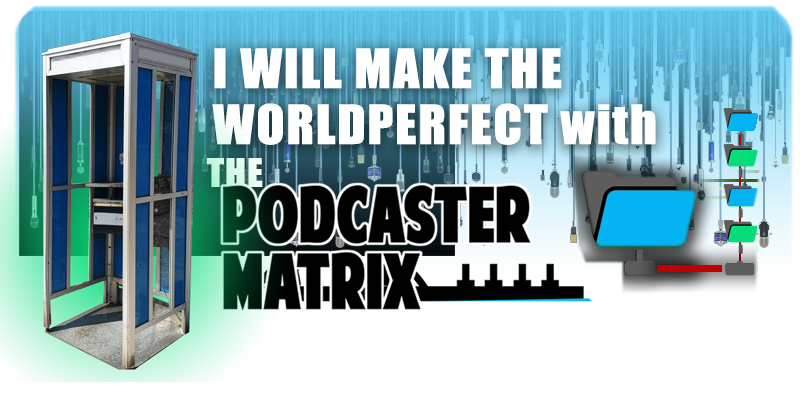 Fill out the form below and we’ll get you started today with everything that’s included inside the WorldPerfect Podcaster Matrix Media Hosting package.